Catherine Doran is happy. Royal Mail’s chief information officer is upbeat because after two years at the postal service, she has started to see the results of her plan to transform the IT function and drive business change through technology. When Doran joined Royal Mail in 2011, she set about creating a five-year plan for technology that was part of a wider business planning process to show investors the organisation had a long-term future when it was sold off by the government. Royal Mail became a publicly listed company and a year ago and entered the FTSE100 index. All these developments prompted a massive change to how the business is run - and inevitably, to its IT strategy, including the internal team, its contractors and projects going forward. 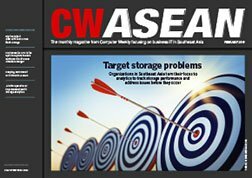 "[Being a PLC] obviously makes a big difference to a company and to its psyche, because you then start thinking and planning around quarterly returns and how to go about things - you know the investors are looking at you," Doran tells Computer Weekly in an exclusive interview. The first and most serious problem Doran had to tackle related to the team she inherited, which was nowhere near large enough to deliver the projects in the pipeline. She embarked on a major recruitment drive and proudly reports significant progress on that front. "[Rebuilding the IT team] has been such a great part of my life that I kind of think everybody in the whole world knows that," Doran jokingly says. However, what happened in terms of recruitment was no joke: according to the CIO, the retained team had around 400 people in 2003 and this was reduced down to about 120 by the time she joined - at those numbers, it was impairing the ability to deliver much-needed initiatives at the postal service. "Royal Mail needed to develop a lot of customer-facing capabilities - and there’s no way it could be done with an IT department of that size," Doran says. "We operate an outsourced IT model so we need to have people to manage that: project managers, so people that know how to work with third parties effectively in an integrated way; support capability, because we needed to have the right controls; the right programme management and reporting. So a lot of core skills," she adds. The previously depleted IT function now has close to 500 professionals and basic frameworks that were missing, such as career paths and development plans, have been introduced. According to Doran, one main concern during the recruitment exercise was avoiding a "scattergun approach". Given that it was an extended campaign, the last thing the CIO wanted was seeing job applications dwindle because of a possible impression that something was wrong. The solution to that risk was driving targeted campaigns to different communities using LinkedIn. "LinkedIn was a big deal for us, to be honest. When we were looking for architects we would target that community, do a campaign with them for a bit, then we wouldn’t do anything with them for a while. Then we’d release a set of jobs to, for example, testing professionals, then programme and project management people and so on," Doran says. Doran has always been a strong supporter of gender diversity in IT and has managed to surpass her own goals in relation to hiring more female technologists. Out of the approximately 500 staff in her department, 31% are women - the original target was 30%. "This is very nice, because it’s one of these virtuous circles where women come in, see the other ones and that creates a good balance. I think that's important," she says. Besides the recruitment drive, the strategy included a programme of "remediation" for the IT infrastructure to make the technology foundations fit for purpose. This would also enable change at the pace and frequency that the business needed, and focus on business and customer-facing projects. But a key area of change introduced with Doran’s strategy is how the company manages its IT supplier relationships. When Doran set about changing the way technology is run at Royal Mail, modifying the management of third parties to reflect the new private company outlook was a priority. Part of the change was to eliminate the "monolithic" IT outsourcing model the company had been employing. Doran describes the previous arrangement that way because the core IT tasks were mainly covered by CSC. "We needed to go to market and shake the market and say, 'Look, this is how we want to run our IT', and go through the whole competitive process to identify, to see who the suppliers would be, who we would work with over the long term," she says. The philosophy behind the new outsourcing model was that Royal Mail knew it wanted to have multiple workstreams with multiple third parties, rather than the approach of concentrating everything on one mega-contract that it embarked on in the early 2000s. "It’s really important to me that Royal Mail owns its own stuff, so our intellectual property, our systems, our architecture, our future. Over the years, on the previous contract, some of that was left out," says Doran. "It's easy for us to talk about upgrading servers and software, but what we also did was create a library of understanding all our applications, all our systems and starting to document them. So part of the rebuilding of the function was acquiring knowledge about our estate and making sure we understood what was good and what we needed to change." Royal Mail is now adamant about owning its core IT, and the CIO got all suppliers to sign up to a new model, yet to be fully implemented, whereby suppliers will take part in a bidding process for individual development projects. A procurement exercise selected the main suppliers that are now part of Royal Mail’s IT services transformation programme - the key providers are Computacenter, which does desktop management and support; Capgemini and HCL looking after applications maintenance; and Atos runs datacentres. In addition, Lockheed Martin, Tata Consultancy Services, CSC and Steria work on applications development. "There is no such thing as saying, 'This would be something for company A or B to look at' when you embark on a new development or if you have a problem with your existing estate, because the world of technology is so integrated," says Doran. The new model proposed by Doran should help minimise the traditional "blame game" of suppliers involved with interconnected parts of a large IT portfolio in big organisations – which tends to occur when things go wrong – and invariably disrupts the business and customer service. "The collaboration model says: fix first, pay later. In other words, people come round the table, everybody sets about trying to pinpoint the source of the issue whatever it might be - and once the service is restored, then you say, ‘OK, now where was the problem and how do we tackle it? '," she says. The new arrangements meant changing the significant relationship that CSC had with Royal Mail for a number of years. 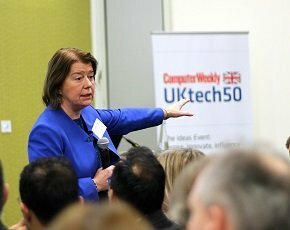 Doran – an executive advisor to CSC's board and a long-term client of the supplier since her previous job as Network Rail CIO – says it was a "quite straightforward" debate. "Back in the early days of outsourcing, the kind of one-size-fits-all contracting approach was pretty standard, but over the years suppliers have realised they aren’t good at everything," she says. "If you talk to Mike [Lawrie, CSC's chief executive] he’s absolutely on that page. CSC doesn’t do everything, and companies such as Computacenter, for example, have built their business entirely on desktop management and support. So it’s really about having a best-of-breed model to employ the core strengths of companies for the benefit of Royal Mail. That’s what I’m trying to achieve." It took the CIO a while to get a full understanding of the ongoing IT projects when she joined, but eventually she found there were 23 workstreams. "Frankly, some of the projects had been on the go for a considerable period of time, so to say they were long and skinny would be an understatement," she says. Fast-forward two years and the number of ongoing projects has surpassed 100. Currently, the postal service is on its annual Christmas development freeze, which starts in November. But the customer-facing journey during 2014 has been significant. It included franking service Mailmark, which replaces the traditional “town and crown” stamp with a 2D barcode that carries machine readable information on the user and mailed item, which will eventually be rolled out for all business mail. Last month, the company also launched a click-and-collect initiative to allow customers to pick up packages from their local Post Office. Royal Mail delivers more than a billion parcels a year and offers tracking for items shipped via services such as Parcelforce and special delivery, and other methods where customers ask the postal service to do so. The need for parcel tracking is increasing, so a key priority for the IT team over the next 12 months is foundation platform building to enhance the firm’s parcel tracking capabilities, commencing the first phase of barcodes for all parcels and enhancing vehicle tracking systems. Another ongoing development is creating a single customer view, using data from Royal Mail’s Mail Events and Attribute Resolution System (Mears), a business-critical platform that provides the primary source of address-reading to enable automation and correctly sort mail items. Mears also plays a critical role in providing data from mail items for business reporting. Royal Mail is not disclosing suppliers for the single customer view project, but the foundation building stage is expected to take place during next year. Work on a new platform for Royal Mail’s stamps and collectibles business is also on the list for 2015. Royal Mail is a large SAP user and implementations and updates of various modules supplied by the ERP giant are ongoing. According to Doran, all of the company’s finance and procurement run on SAP, as well as “a hefty part” of the billing – including the online business, which represents about 30% of Royal Mail’s revenue. In 2015, the company will deploy SAP recruitment and succession planning capabilities. Another major project for 2015 is the revamp of 80,000 devices in the firm’s postal digital assistant (PDA) estate from an implementation that Doran inherited and completed before Christmas 2013. It is already time to start an update – and Royal Mail has recently gone to market to choose a managed services partner and a supplier for the new devices. Royal Mail’s story is so compelling, why would you not be excited to be working for a company going through this scale of change? “Given the scale and the pace of change in technology, as soon as you finish an implementation like this, you have to start refreshing. So we went to market and the plan is to to refresh the devices and the applications during the coming year,” says Doran. BT was awarded the managed service contract. The postal service is currently going through the process of selecting new devices and is expected to complete this in the first quarter of 2015. But the most significant item on Doran’s to-do list for the New Year remains the move to the new supplier model. “One of the biggest things that we will do the next 12 months is the transition. We will be moving from few partners to many, which means it’s complicated – but we are being very careful on how we plan it as we want to do it in a way that will not disturb the business, or at least disturbs as little as possible,” says Doran. As the CIO presses ahead with her agenda of technology-based change, there is a sense of relief that the days when IT staff used to “get disenchanted with things changing all the time” are over. The last employment survey at the postal service showed the morale of IT staff has gone from “languishing at the bottom of the pile” a couple of years ago to coming second in the latest survey earlier this year, according to Doran. “Royal Mail’s story is so compelling, why would you not be excited to be working for a company going through this scale of change, developing capability and that basically has the goal of becoming the best delivery company in Europe?,” she says. “We have great ambitions and Royal Mail is investing in all parts of the business, particularly in technology. Back in 2011, IT was peripheral – it was something that was needed, but not considered essential,” she adds.